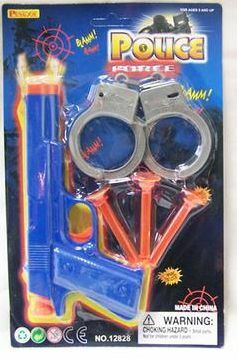 This police pistol shoots rubber tipped suction darts, included. The gun is about 7" long. It also comes with a pair of handcuffs. Price is for one gun set.